Managing your locum shifts has never been easier, thanks to our brand new feature, you can keep your locum life on track. Locate a Locum have now launched an exciting new diary, designed specifically to help you manage your bookings. It allows locums to track their time and work more effectively, and employers to know immediately whether a locum is available to work. The locum diary enables users to view their schedules a month at a time. 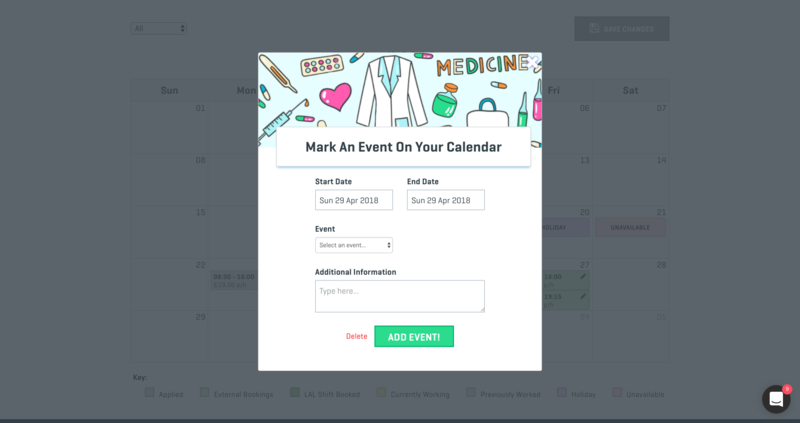 Enter events to your diary, such as marking days you are unavailable or are on holiday, enabling you and employers to keep track of when you're free to work, no more unwanted calls when you're not available. Additionally, you can enter external shifts to your diary, including shift times and rates. 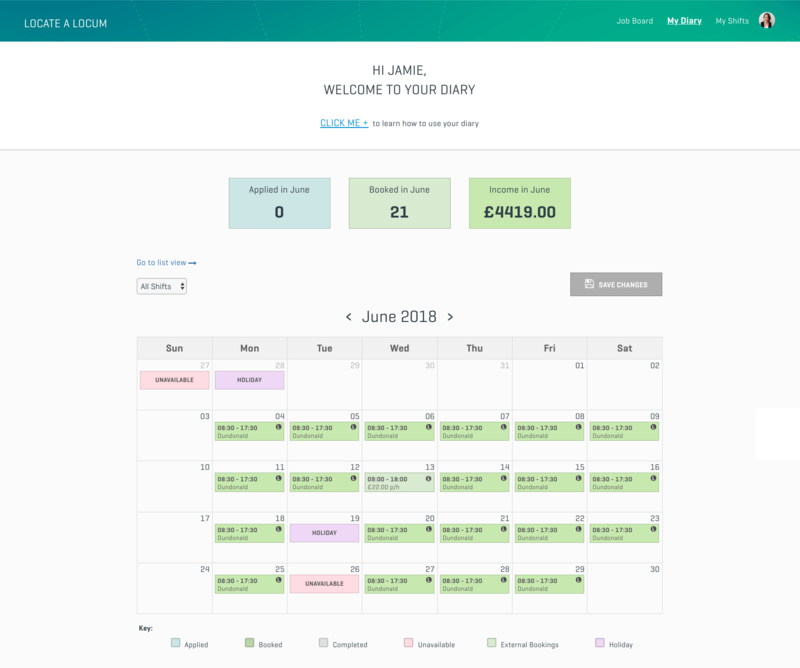 Any shift booked through Locate a Locum will automatically populate your diary, making managing your time and finances simple. 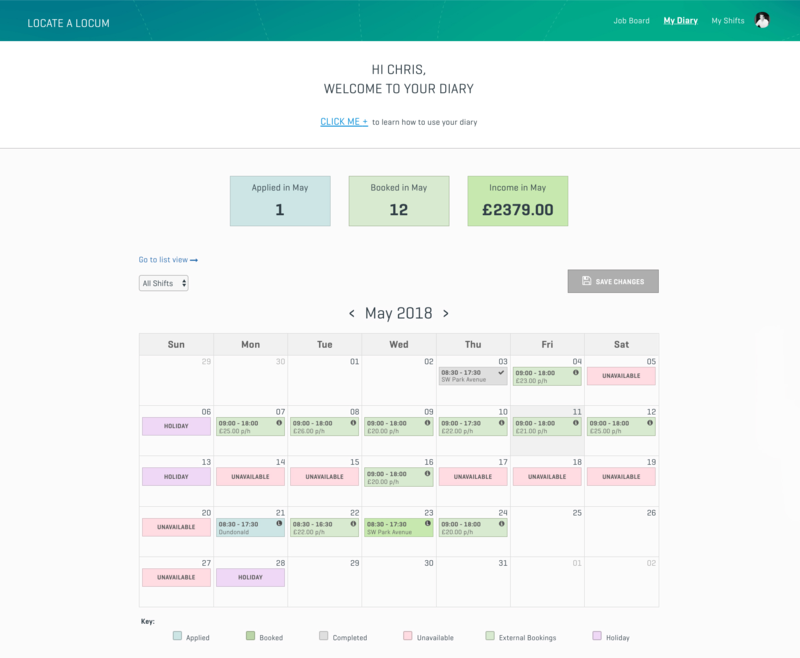 For locum users, our diary feature should alleviate any possibility of making the all too common mistake of double booking - saving you both face and time. It should also put you in better control of your finances, by showing you the total earnings of your shifts that month. You can now immediately see whether you need to take on more shifts, or can afford to make a pricy purchase - we’ll do the maths for you. Previously, it was impossible for employers or our locum coordinators to know when a locum might be unavailable or on holiday, but with the release of the new locum diary, this problem vanishes. 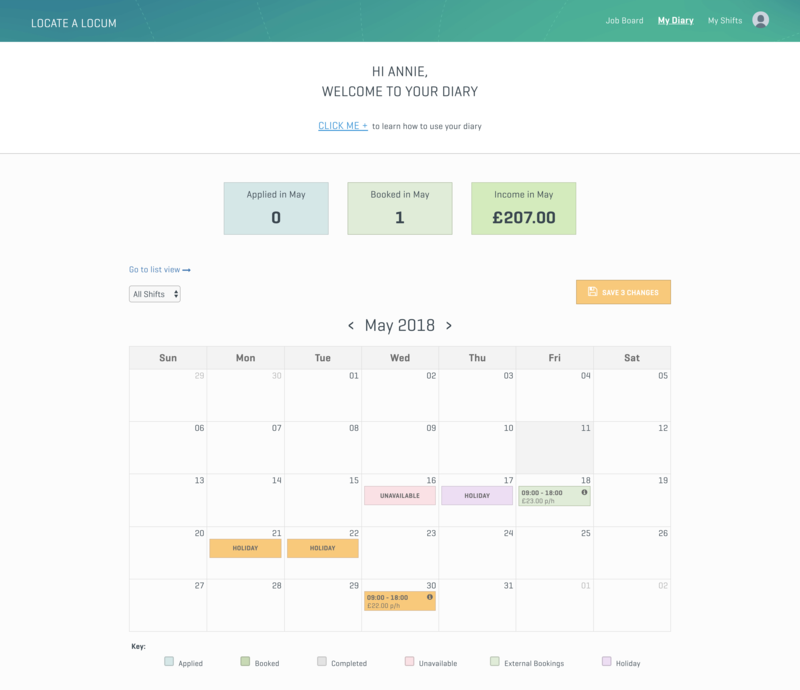 Now employers and locum coordinators can check that locums diary to see what days they are available to work, if you're unavailable they will know not to contact you and to arrange alternative locum cover. No more unwanted calls when you're on holiday! Another exciting feature of the locum diary for employers is the ability to immediately find alternative cover. If the locum you are looking at is not available, the Locate a Locum app will recommend other, available locums in the surrounding area. Helping employers find the cover they need, in less time and with minimal stress. The diary feature is available on both app and website now.